Zynga to buy Draw Something creator? 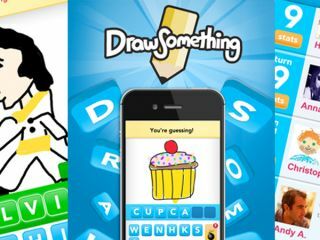 The astonishing rise of the Draw Something app on smartphones and Facebook has drawn the attention of Zynga, which is reportedly in talks to buy the game's creator. The Pictionary-like app, which is based on guessing your pals' touchscreen doodles, has raced to the top of the Android and iOS charts with over 25 million downloads. Last week it also became the most-played game on Facebook with 10.6m daily users, all in the six weeks since launch. Developer OMGPOP had endured a relatively lean time until Draw Something pulled it out of the doldrums. Now the king of social gaming, Zynga, could be ready to swoop. How do you draw $250m? TechCrunch says that Zynga, which publishes Words With Friends, Farmville and Zynga Bingo, could be willing to pay up to $250m to acquire the company. The report also points out that rather than splash out all that cash, Zynga may be inclined to build its own version of the app and use its superior brand identity to steal away OMGPOP's dominance. Zynga has previous in this area. Reports last November suggested that the company had a offer of well over a billion pounds rejected as it sought to acquire Angry Birds-creator Rovio.